Biologics are newer drugs used to treat psoriasis. Read more about how these drugs work. Psoriasis is a chronic inflammatory skin disease, commonly characterized by plaques of scaly skin on various parts of the body. The rash of psoriasis may consist of small or large areas, and it may appear as one of many different subtypes of psoriasis (for example nail or scalp psoriasis). Psoriasis affects people of all ages and it affects at least 1% of the population and at least 4.5 million adults in the USA. Due to the unique way that psoriasis appears in different patients, there is a broad range of treatments for psoriasis. Currently, treatment modalities include topical steroids, topical tars, topical Vitamin D derivatives, topical retinoids, and phototherapy. For patients with severe disease, systemic medications that are used include Methotrexate, oral retinoids, and cyclosporine as well as various light-based therapies. Biologic agents are a relatively new class of medications that are rapidly gaining popularity in managing moderate to severe psoriasis. These agents work by suppressing the immune system, which plays a central role in psoriasis. The names of biologic agents that are approved to treat psoriasis are etanercept, adalimumab, infliximab, and ustekinumab. These medications can be given as an injection or through an intravenous infusion. Biologics are now frequently used if other oral agents fail or there are contraindications to using traditional oral medications. In contrast to many of the other systemic psoriasis medications, such as methotrexate and cyclosporine, biologic agents have a much lower side effect profile, and they can also improve symptoms of psoriasis-associated arthritis. Biologics are not taken daily and therefore are more convenient for some people. Overall, biologic agents act on more specific parts of the immune system compared to older drugs. This is an advantage because specificity leads to fewer side effects and better results. There is scientific evidence showing that a subtype of the immune cells called “T Cells” is inappropriately activated and move to the skin, contributing to the inflammation causing psoriasis. Alefacept works by blocking the activation of these overactive T cells. Up to half of the patients do not respond to this medication, but in one clinical study, patients who received alefacept had over 50% improvement in their symptoms for over 10 months. In 2011 the drug, sold in the USA under the name Amevive, was discontinued by the manufacturer. Immune cells can communicate with one another through a messenger molecule called “TNF-alpha.” This molecule promotes inflammation and leads to a more robust inflammatory response. Etanercept, infliximab, and adalimumab work by inhibiting TNF-alpha. TNF-alpha inhibitors are associated with risk for reactivation of tuberculosis and other rare infections, however, it was established that the benefit of these drugs far outweighs this risk. Ustekinumab is the most recently approved biologic agent for psoriasis and works by blocking a different molecule called IL-12/23 that is involved in T cell communication and activation. This is a newer agent, and it is still being carefully monitored for long-term safety. One drawback to biologic agents is cost. Biologics are very expensive, costing around $20,000 per year per patient, which greatly limits the number of patients who could use them. Additionally, injection and intravenous administration makes taking these medications more difficult than topical or oral medications. Patients who have severe infections or are immunosuppressed may not be candidates for biologic medications. At this time, biologics for children are not approved in the United States for treatment of psoriasis (but are used by doctors “off-label”); although, etanercept is approved in Europe for children with psoriasis ages 8 to 17. Psoriasis can significantly impact the quality of life and has been linked to depression, anxiety, and an overall negative effect on daily life. Over 30% of people with psoriasis have moderate to severe forms of the disease, necessitating the use of systemic therapies. 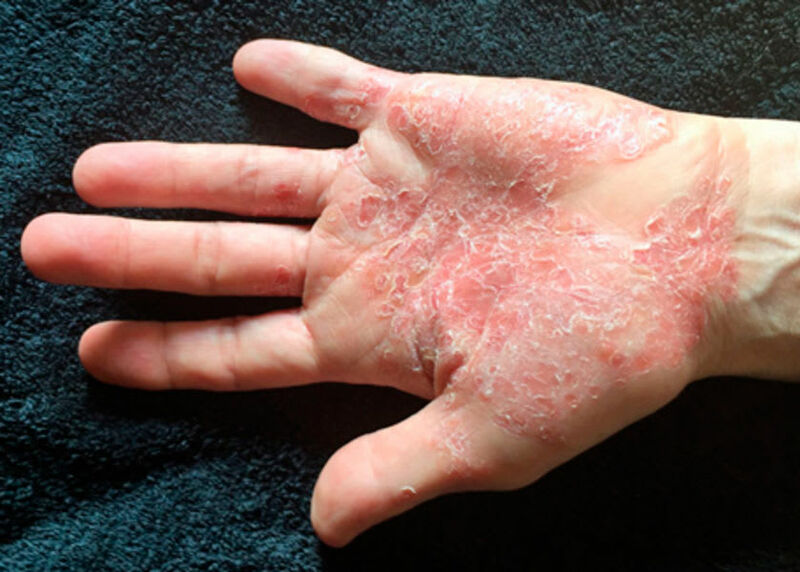 Progress in psoriasis research and the emergence of biologic agents offers hope to patients afflicted with psoriasis who are in need of new medications.